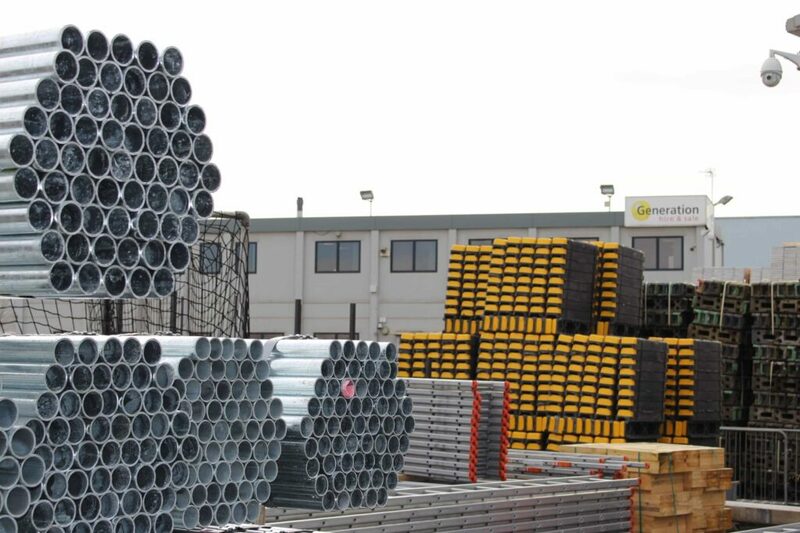 With a company timeline stretching back to 1978, Generation UK has seen substantial growth and now operates as the largest scaffolding supplier in the UK. With over 75,000 tonnes of scaffolding, they have the UK’s largest inventory of scaffolding for hire and sale. Every day Generation faces a logistical challenge to supply their 7,000 customers with the scaffolding and non-mechanical plant equipment that they require. Generations’ customers represent a full mix of the construction industry; including civil engineers, house builders, energy, utilities and scaffolding sub-contractors. Whilst their customers are varied, what unites them is their need for quality scaffolding delivered when and where they need it. In order to match their customer’s expectations, they handle tonnes of scaffolding, access, fencing and hoardings every day across the UK. 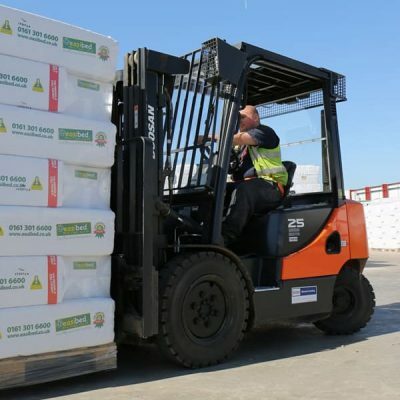 To achieve this, Generation needed a reliable fleet of forklifts to serve their nationwide network of branches, and the experts at Windsor Materials Handling lent a hand. 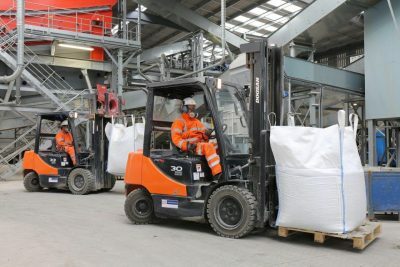 Boasting a 15-year relationship with Generation, Trevor De’Ath of Windsor stepped in to provide approximately 50 forklift trucks for the company – a mix of Doosan, Clarke and Komatsu models. 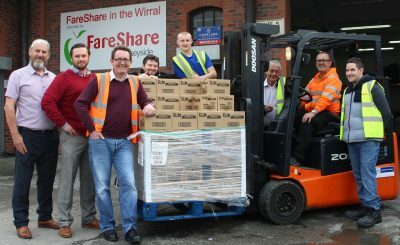 Trevor, who has a strong working relationship with the commercial manager at Generation, Chris Baker, said the trucks had been well received by staff at the firm. Windsor is one of the few independent MHE providers in the UK with nationwide coverage and over 100 fully trained and highly skilled engineers. Thanks to a local one-stop approach for finance, hire, sales and maintenance, Windsor is able to add value via a quick, reliable and personal service. 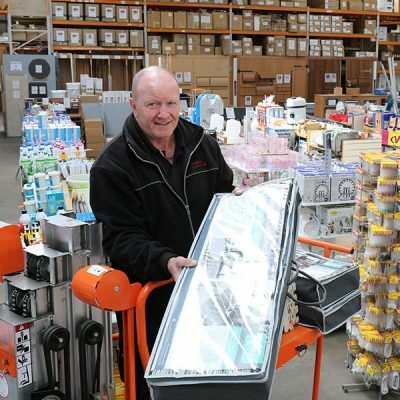 As part of the agreement with Generation, Trevor occasionally provides hourly and weekly key performance indicators to check efficiency is at its optimum for the fast-growing business. Chris Baker explains how busy peaks are unpredictable for the business. “There is constant volume. It is at its busiest first thing in the morning and sometimes vehicles are queuing to access our depots. We use barriers during peak times to ensure traffic on the site does not compromise the operation. 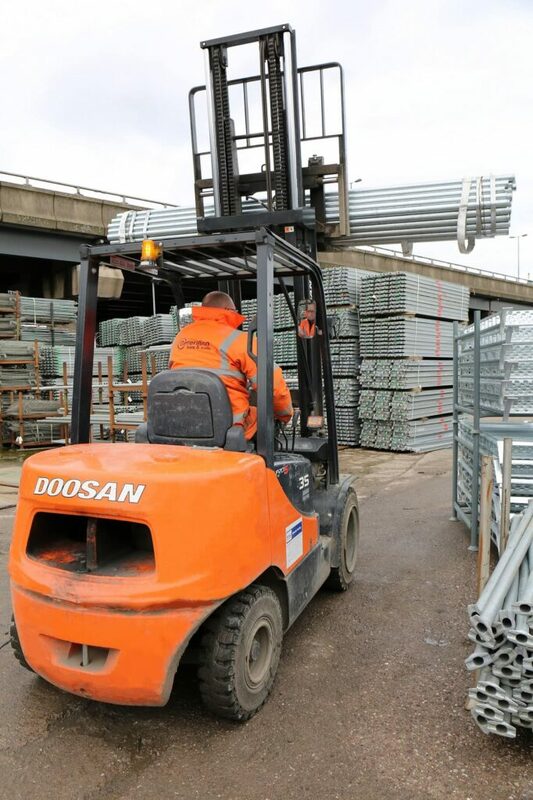 With 40 years’ experience in materials handling and access systems, Windsor can offer its customers freedom of choice for every application – an important factor for the largest UK supplier of scaffolding products. 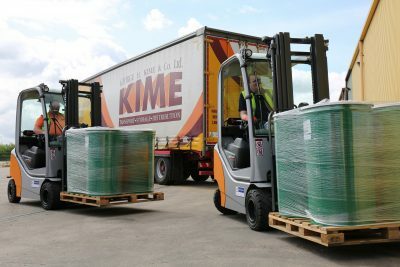 Windsor operates from twelve branches across the UK, offering materials handling and access equipment, for sale, hire and maintenance. Established in 1977, the business is now the UK’s leading independent supplier of Komatsu, Kalmar and Doosan forklifts, Baumann side loaders, Atlet warehousing and JLG access equipment.